Spartan Kelly is seen through a window with some of her armor removed. 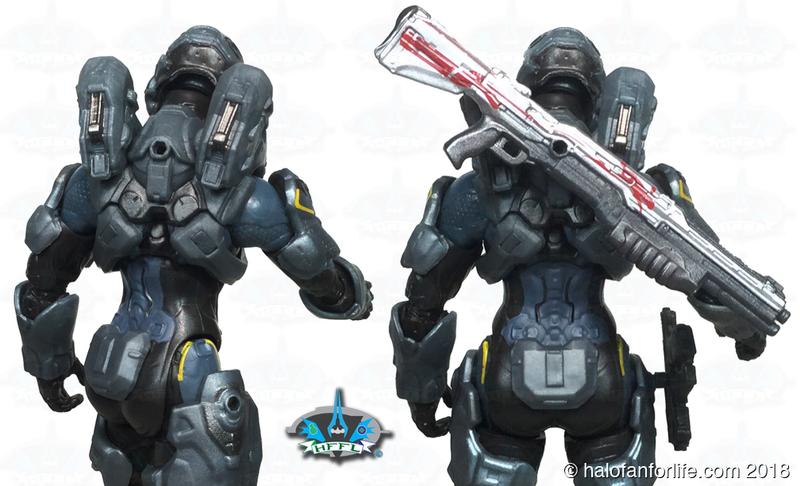 You can also see Oathsworn, (a rare NAMED weapon, in this case a shotgun), as well as the magnum. 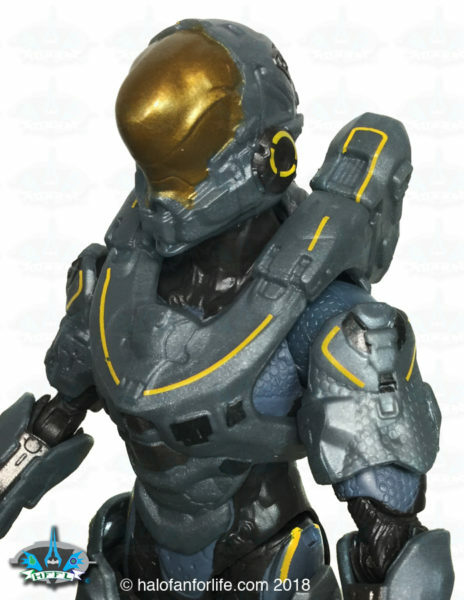 The Build-A-Figure Crawler Snipe Head is mostly hidden behind a graphic on the front of the box. 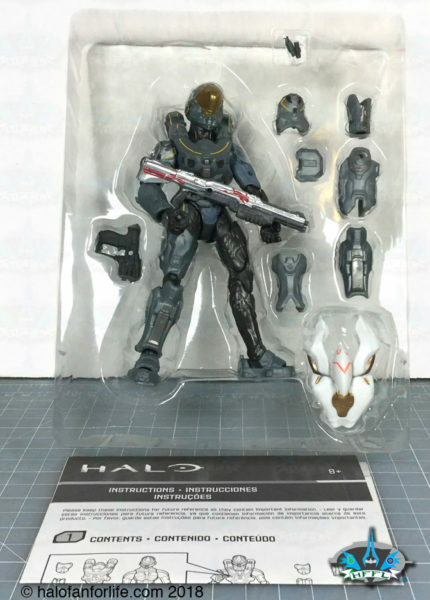 The back shows all of the contents, as well as the other figures in Series 1. 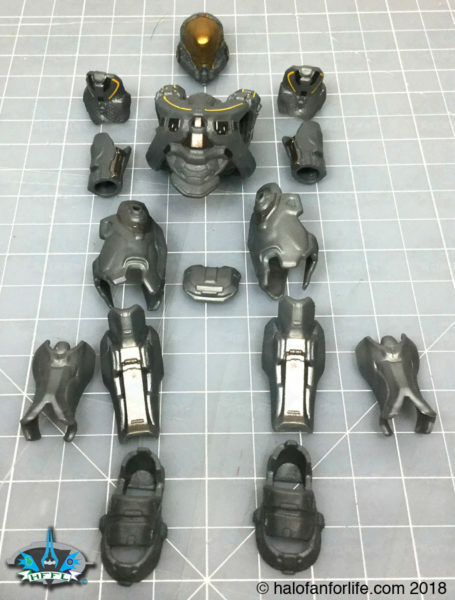 It also shows the corresponding parts for the Build-A-Figure Crawler. Here’s the plastic tray with the figure, armor parts and accessories along with the instruction manual. The instruction manual is usually sitting behind the yellow cardboard insert (seen through the window above). Be sure to look there to find it. As with the other Spartan figures from Mattel’s 6 inch line, all armor is removable! Pardon the flash on the front thigh armor. The articulation of the figure is awesome! You can EASILY put this figure into so many poses. You’ll see a few more poses later in the article. 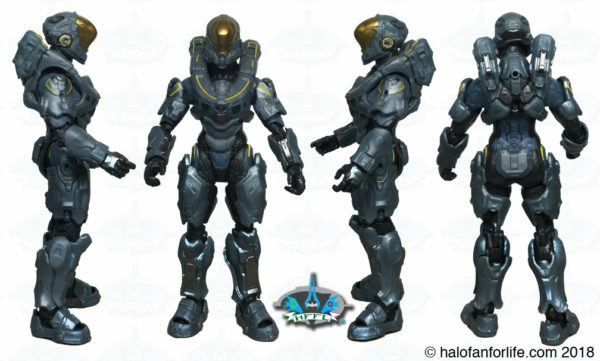 What I love is that Mattel didn’t skimp here and just reuse the standard spartan male body, but made it a female body! 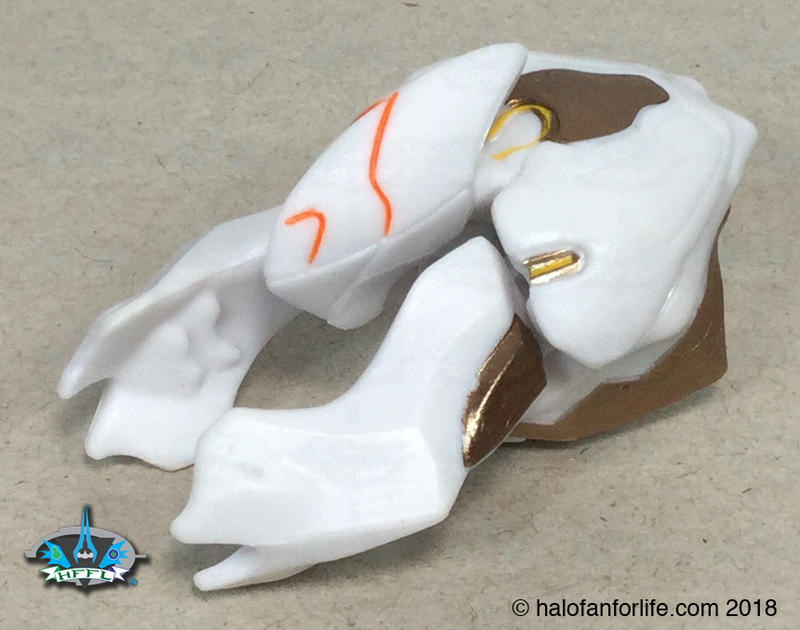 Each figure from series 1 includes a Build-a-Figure piece of the Crawler. 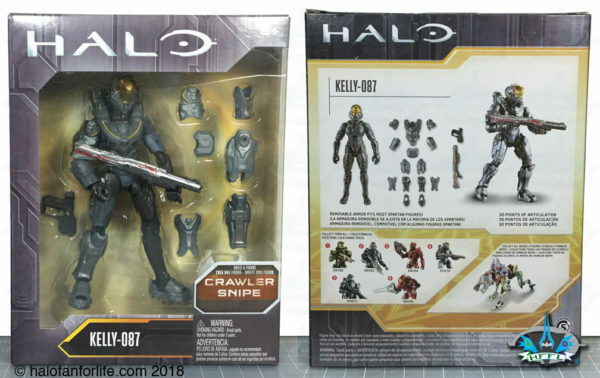 What makes the piece that comes with Kelly special is that, instead of the Alpha Crawler Head, you get a Crawler Snipe Head. This coupled with the Crawler Snipe Back that comes with the Mattel 6 inch Spartan Fred figure, you can convert your Alpha Crawler to a Crawler Snipe! Very cool! As for accessories, there are two plastic pins (as seen in the small plastic bag below). These can be used to secure the Shotgun onto the back of Kelly, while the Magnum to her thigh armor. Each figure has these pins for similar usage. A closer shot showing some of the great detail in the paint application and sculpt of the armor and figure. Kelly in orthogonal views. Be sure to click on this pic to see a larger size of it for all of the detail! 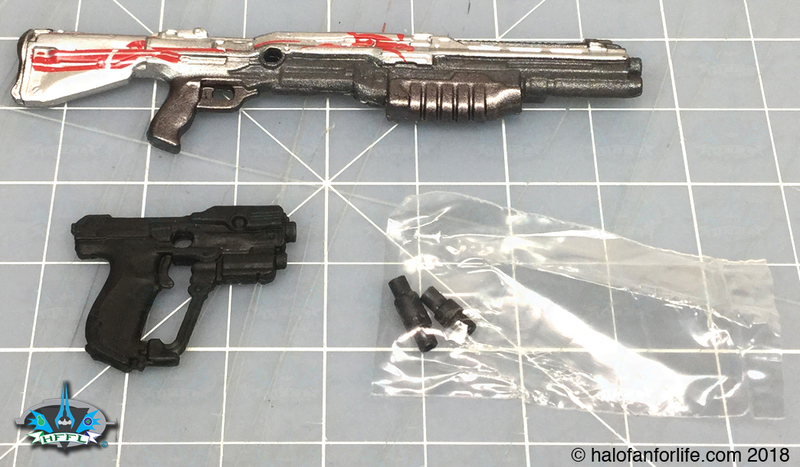 The pic below shows (on left), the holes for attachment on the back and thigh, while at right, the Shotgun and Magnum attached. The Magnum is easily held by Kelly’s right hand. As too is Oathsworn, using both hands to secure it properly. Do I recommend this product? Absolutely! She’s a member of the Legendary Blue Team. This is also a rare perfect 50 out of 50 medals. 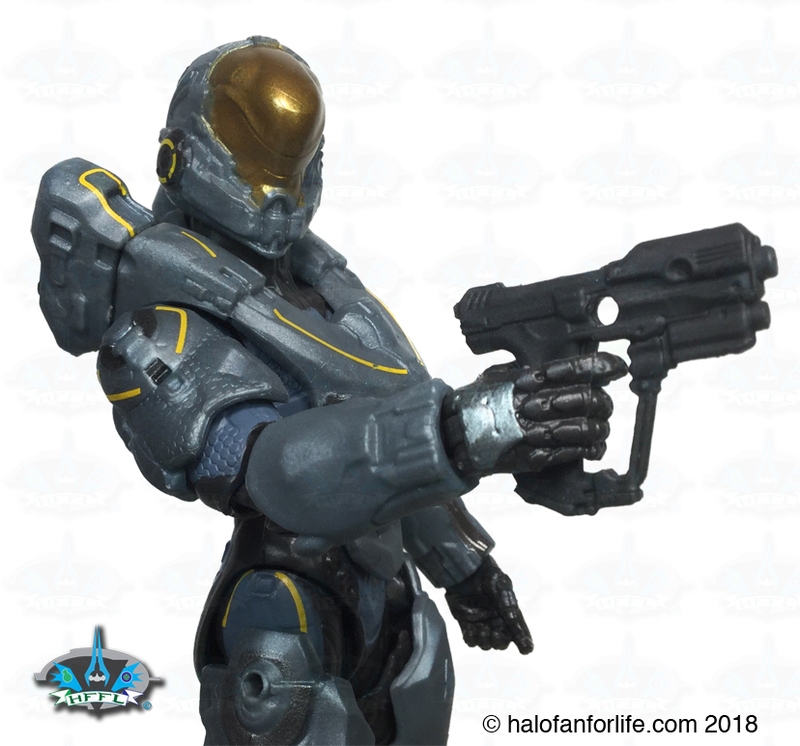 I think the figure is THAT GOOD! Do yourself a favor and buy her if you can find her. She’s harder to come by now as she was in the expansion of series 1 (along with Fred), which came a few months after the original figures from series 1. 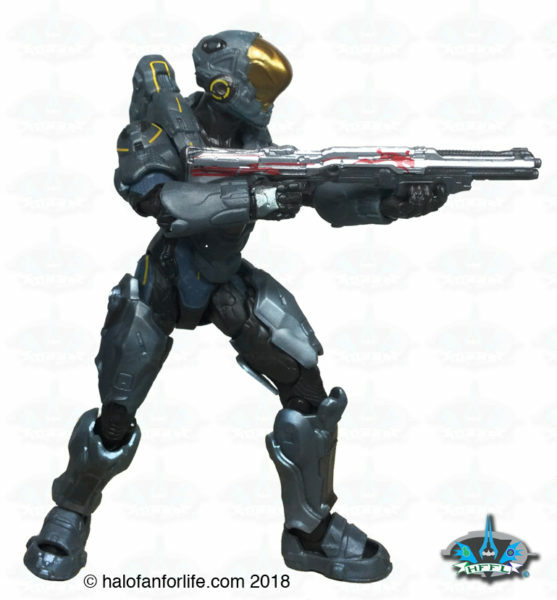 I can’t help but mention again that the posing, due to excellent articulation, is really fantastic. Buy one and see for yourself!